Upholstery is a part of our daily lives and because of that, it’s very important to understand how to clean furniture properly. Where ever we live, we will have it. And by choosing the right type of furniture, it can add a lot to a room in terms of comfort and ambiance. But when it becomes dirty, it won’t have the same effect on a room as it did when it was fresh and clean. But the sad part is the fact that your furniture is bound to get dirty over time from general use. It’s inevitable! So it is necessary to get into the habit of upholstery cleaning every now and then when it gets dirty and below, we’ll walk you provide you with the necessary knowledge to help you learn how clean your home furniture by using some of the cleaning agents. One thing that you should note is the types of cleaners which are made for different types of fabrics. So, you should check your furniture to see what type of furniture cleaning agent it requires. Generally, you should fine a letter code under your cushion (W,S,SW,X) which is explained below. W: Water-based cleaning agents or foam can be used. Only distilled water should be used. Do not use tap water because it contains minerals which can cause rings or fading. S: Solvent based cleaning agents should be used. These are mild, water-free cleaning solvents. Water should not be used on these types of materials at all. SW: Solvent and water-based cleaning agents such as foam or mild water-free cleaning solvents can be used. However, only distilled water should be used. Do not use tap water. X: Professional Cleaning: It should only be cleaned by vacuuming or light brushing to remove dirt. Water-based or Solvent-based cleaning agents should not be used on this type of material. 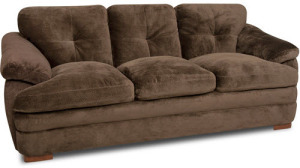 However, in this circumstance, it is recommended that you find a professional upholstery cleaning service. Hopefully with this information, it will guide you in the right direction and show you the process of furniture cleaning. Furniture can be made from various types of materials. However, the most common material used on furniture are synthetic fibers such as nylon, acrylic and polyester. These fibers cost less but they’re also better at being repellent to stains so if you’re able to clean your couch as soon as possible, there’ll be a lower chance of having it permanently stained. Also, when your cleaning your furniture, you should ensure to not get any liquid/cleaning agents on any metal or wooden parts. These parts can rust, corrode, change colors and start to look ugly if they come in contact with water or a cleaning agent. And this is one problem you definitely do not want to deal with. So bear this in mind in the furniture cleaning process. Now, if you’re dealing with synthetic types of fibers, these materials can easily be cleaned. However, you should still check the tags to see what type of furniture cleaning agents should be used because not all synthetic fibers can be cleaned the same way. Typically any type of water-based cleaning agents will work on these. Now, when you’re ready to get down and start cleaning, it is recommend that you apply the cleaning agent to a small non-visible section. This lets you test the agent out of site to see how the furniture reacts to it. When you’re testing out the cleaning agent, something that should be looked for are discoloration and shrinkage. If this occurs, you should stop and try to find another furniture cleaning agent. Another type of material you may encounter are combination materials. These materials contain some natural fibers (cotton, wool) and some synthetic fibers. Usually, these types of fibers will contain a 50/50 blend on natural fibers to synthetic fibers. Generally, with these types of materials, it’s recommended that you get a professional to assist you in the sofa cleaning process. These materials require a special type of treatment that professionals are trained in. 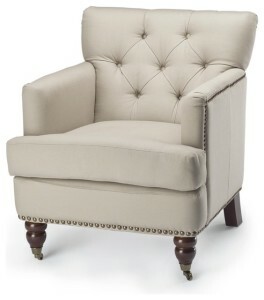 Some types of furniture will also contain 100% natural fibers and you can generally clean these types of materials by yourself unless a label says otherwise. Now, when you clean these materials, it is ideal that you go for a water-based cleaner. However, you should note that using too much water can cause rings to show and shrinking to occur. So it’s recommended that you are very moderate when applying the water-based furniture cleaning agent to the material. A microfiber couch a great couch to have. This is because they are fairly easy to maintain overall. They are fairly easy to clean because of the large amount tiny fibers they have which are condensed into a small area. And because of this, dirt generally remains very loose inside the furniture. This make’s cleaning them generally as easy as vacuuming alone. 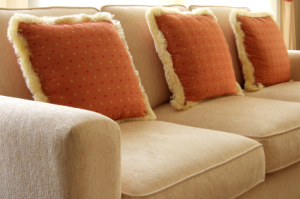 To learn more about how to clean microfiber furniture, check out our microfiber cleaning page. If you’re wondering how to clean upholstery made with leather, you’ve come to the right place. Cleaning a leather sofa involves a different cleaning process. You’ll generally need to get a leather furniture cleaning agent, as well as some leather conditioner. This will help you maintain you’re furniture over the long run. Check out our leather sofa cleaning page for more information. Now that you have an general understanding of sofa cleaning, click here check out the line up for the best upholstery cleaner.